OpenStack-focused Mirantis has partnered with VMware (VMW) in the hopes of simplifying and accelerating large-scale deployments of the open source cloud platform. The company will use Mirantis’ own OpenStack distribution, which was released late last month, and VMware’s vCenter and NSX technologies. The OpenStack Compute service (Nova) with the VMware vCenter Server driver. The OpenStack Networking service (Neutron) with the VMware NSX driver (formerly the Nicira NVP driver). The OpenStack Block Storage service (Cinder) with the VMware VMDK datastore driver. And compatibility with OpenStack Havana and future releases. “We see a lot of interest in both VMware vSphere and VMware NSX network virtualization from Mirantis OpenStack customers, and this partnership will help us provide the best possible experience for them. Through this partnership, Mirantis and VMware will be able to drive innovations that simplify the deployment of highly scalable and high-performing clouds,” said Boris Renski, co-founder and executive vice president of Mirantis, in a prepared statement. Mirantis is one of a growing number of OpenStack-focused companies that have released their own commercial distribution of the open source cloud platform, and the company is growing its OpenStack business. 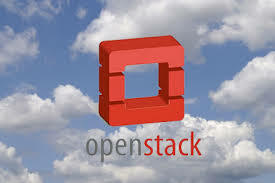 In fact, Mirantis is exclusively focused on delivering OpenStack solutions and services. In some ways, Mirantis is becoming a go-to partners for OpenStack, and that shows in its aggressive push lately with its distribution, its $10 million venture capital funding round intended to help drive OpenStack deployment and the Fuel tool, as well as partnerships with other significant open source cloud companies including Red Hat (RHT) and Hortonworks. With some of those partnerships, Mirantis is also beginning to play a larger role in the Apache Hadoop Big Data world. Even as interest for OpenStack continues to grow, there is still some speculation as to how profitable the open source cloud platform currently is for the channel. Many in the industry believe the potential revenue opportunity is upwards of $1 billion.